Winning Best Picture, Best New Director and Best Original Screenplay at the 2017 Goya Awards, The Fury of a Patient Man is Raúl Arévalo’s breathtaking directorial debut, a thriller about a man who has waited years to avenge a crime everyone else has forgotten. Right from the beginning the film grips the audience, as we’re thrust into the aftermath of a jewelry store robbery that has left the owner comatose, a female sales clerk dead and the getaway driver in hot pursuit by police. Eight years later, the imprisoned driver, Curro (Luis Callejo) has become a rage-filled man. His girlfriend Ana (Ruth Díaz) lives alone with their son and spends her days bartending in Madrid, where an unassuming regular José (Antonio de la Torre, Cannibal, Volver), keeps her company. Alone at night, however, José obsessively watches CCTV footage of the robbery. The simmering rage of both men finally boils over when Curro returns, expecting to restart his life but instead finding everything has changed. 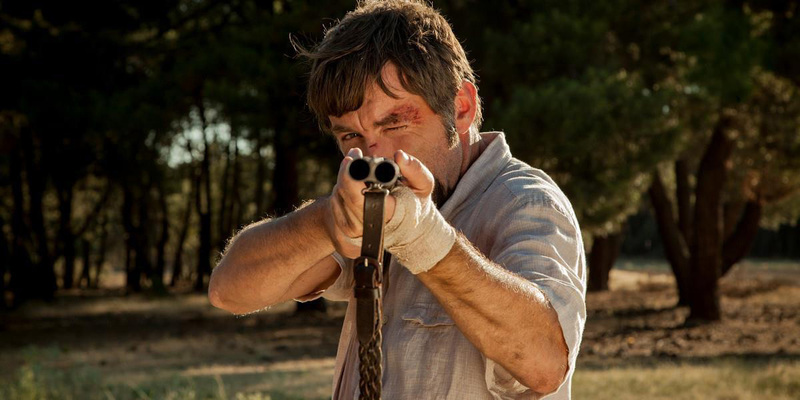 With distinct echoes of the western genre, Arévalo’s precise and unrelenting revenge thriller is deservedly being marked as one of Spain’s best. Raul Arévalo is a Spanish film actor and director. His first standout role was Dark Blue Almost Black (2006), Daniel Sánchez Arévalo’s first film. He later worked on Antonio Banderas’s Summer Rain (2006) and Gracia Querejeta’s Seven Billiard Tables (2007), for which he was nominated for a Goya for Best Supporting Actor. In 2008, he starred in José Luis Cuerda’s The Blind Sunflowers, which garnered him a Goya nomination for Best Male Lead. Under the direction of Daniel Sánchez Arévalo, he won a 2009 Goya for Best Supporting Actor for the comedy Fat People. Other titles in his filmography include The Last Circus (2010) by Álex de la Iglesia, Even The Rain (2010), by Icíar Bollaín, and Ghost Graduation by Javi Ruiz Caldera (2012). In 2014, Arévalo co-starred in Alberto Rodríguez’s Marshland alongside Javier Gutierrez, the same year he premiered the comedy Sidetracked, followed in 2016 by the thriller To Steal From A Thief (2016) by Daniel Calparsoro. The Fury Of A Patient Man is his directing debut. “The Fury of a Patient Man is a dramatic thriller coming straight from the gut. Hatred, bitterness, rage, pent-up anger are issues that have moved and interested me. One of the challenges was to portray everything with the greatest realism possible. To talk about violence from my point of view: a dry, raw, rough violence, just as it is in life itself. And to do so by means of a plot line and structure full of intrigue, one that combines this search for realism and believability with the spectacular nature and pacing of a genre film, while keeping spectators fully engaged throughout.